Which living person has the greatest impact on fashion? This question will return with many answers. Someone with a literary inclination may reply Anna Wintour, while a Kanye fan will say Kanye West and a lover of the weird will offer up Rick Owens. All of these answers are incorrect; the most influential living figure in fashion is Tim Berners-Lee, inventor of the world wide web. The internet’s impact on fashion cannot be understated; now anyone can see the newest haute couture lines, write articles on the latest trends, or use Instagram as a platform to model. Ideas spread at a breakneck pace — one day Dior has a beautiful minimalist line everyone is trying to emulate, a week later the maximalism of Balmain is all the rage. Inspiration strikes everyone who now has a platform to share their half-baked ideas, leading to a slew of micro trends. Goth-ninja, health-goth, lunarcore and normcore stand out as the most prominent of these trends because of their staying power and broad impact. Goth-ninja exploded onto the fashion world in the mid-2000s with unprecedented force. The origins of goth-ninja are not entirely clear, but as soon as it caught on in Japan the internet was the vector of its spread. Within a few months, goth-ninja went from being discussed on obscure image boards to having some of the most watched shows at Paris Fashion Week. Rick Owens, one of goth-ninjas leading designers, even landed collaborations with Adidas. It appeared goth-ninja was here to stay, then as quickly as it rose goth-ninja fell. Despite this sudden disappearance, the effects of goth-ninja are still felt today: from drop crotch pants to general drapes, fashion was changed. The most significant impact of goth-ninja was the birth of the micro trend. Mirroring the trend’s volatile rise, many styles have emerged from the black draped ashes of goth-ninja, only to immolate themselves. 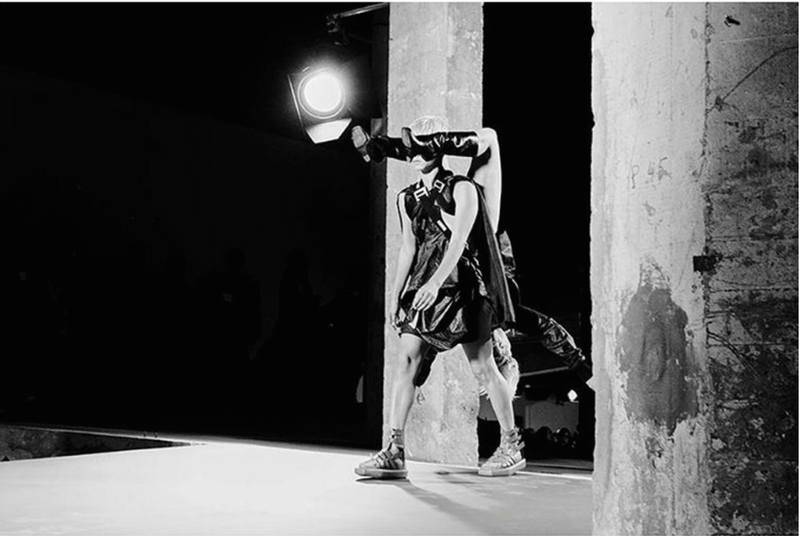 However, haute couture is more accepting than ever of grimy designs, and Rick Owens is as big as ever. The aesthetic of goth-ninja is all about silhouette. Colors are non-existent, and the texture of the fabric serves only to highlight the outline of the body in unique ways. Long shirts that barely hang on to the wearer layer with coats and cardigans, which would fit perfectly in the wardrobe of a Nazgûl or Sith Lord. Pants cling to the legs while becoming more complex, through either a drop crotch or more pockets and zippers than you can count, showing off their skeleton thinness. The shoes and boots are bulky with too many zippers and ties to count, and should look as if they recently emerged from a dumpster. Goth-ninja evokes grime and dirt while also being very constructed, a hard balance to strike. Health-goth is goth-ninja’s nephew who took the advice to go to the gym and clean up a little too seriously. Its history is considerably simpler than goth-ninja’s — a website with the style popped up in 2013, and it peaked last year before declining in popularity yet again. As the most recent micro-trend, it’s harder to tell if health-goth has legs or if it’s a flash in the pan like all the others. Stylewise it does away with a lot of the complexity offered by goth-ninja; gone are the innumerable folds, layers, and zippers, having been replaced with skin tight polyester. The monochrome color scheme persists, but there is more room to break this rule. The unbranded fabric is replaced with as many brand logos, real or fake, that you can cram on. If you aren’t wearing sneakers, preferably with a weird but functional design, you’re doing it wrong. Functionality is an essential part of health-goth but takes a backseat to style. While you’re benching, your t-shirt doesn’t matter, unless you happen to be a health-goth. Everyone dressed up as an astronaut at least once as a kid and lunarcore is the logical continuation. Invented in 2014, lunarcore reached its peak immediately, and in perfect emulation of the space program quickly faded from the public eye. Unlike goth-ninja and health-goth, lunarcore’s impact on the public’s style has yet to be seen. Even though combat boots are everywhere, all white outfits, cargo pants, and bright orange jackets haven’t permeated the public conscious yet. Instead, we’ve seen the aesthetic embraced by various designers, with JUUN.J and Gosha Rubchinskiy being notable examples. Lunarcore is all about contrast. It is misidentified as all white, all the time, but a lunarcore outfit shouldn't be afraid to shake it up. This contrast isn’t necessarily color, it can be the form of the clothing; juxtaposing the cleanliness of the astronaut-esque aspects of the outfit with very baggy and overburdened jackets or pants is one standard method. As one of the newest of these micro trends, though I’m sure one or two have appeared while I was writing this article, lunarcore is still evolving, and many people will have vastly different definitions of the trend. Fashion is all about presenting your image, and in normcore, you present that your style is so generic it becomes intriguing again. The fashion equivalent of SOPHIE, normcore takes turtlenecks and new balances and combines them to make utterly bland looks that you somehow can’t deny look good. When aiming to be normcore just ask yourself “would Steve Jobs or one of the characters of Seinfeld wear it?” If the answer is yes, you’ve got a sweet piece of normcore clothing. When The New York Times wrote about it, they exposed a whole new audience to the internet’s trend. The New York Times' articles have caused normcore to spread like wildfire, having reached a level of ubiquity where my mom complimented my white turtleneck as being “normcore but in a good way.” Normcore is perhaps the biggest micro trend; big enough to where it could almost be called a real trend. As internet access spreads, more and more people can throw on a weird outfit, upload the pictures to Instagram or Tumblr, tag it with a silly name, (preferably with some suffix of -goth, -core, or -wave) and accidentally start a new style. These trends burn out as fast as they alight, yet despite their short lifespans they continue to have an influence well after their premature deaths. More and more micro trends pop every year, and that at least is a trend which doesn’t seem like it will leave anytime soon.